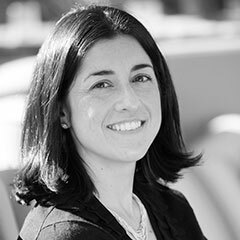 Tiffany Griego is Managing Director of Asset Management for Stanford Real Estate, a division within Stanford University charged with investing and managing the University’s real estate assets on its Founding Grant lands. She leads strategic planning, development and management of the world-renowned Stanford Research Park, Stanford’s preeminent real estate asset and Silicon Valley’s single largest real estate complex. This 700-acre, $7 Billion submarket is comprised of 10.3 Million square feet of improved R&D and office buildings, with Stanford’s direct holdings equaling $2.5 Billion AUM. Tiffany has more than 15 years of experience in commercial and residential real estate investment and development. She is a graduate of Stanford University and has an MBA from the Stanford Graduate School of Business. She is a member of the Board of Directors for Stanford Professionals in Real Estate (SPIRE). Tiffany was named a “40 Under 40, Silicon Valley” honoree by the Silicon Valley Business Journal and received the Northern California Real Estate Women of Influence “Rising Star” Award from the San Francisco Business Times. She is a member of the Stanford Associates Board of Governors, recipient of the Stanford Alumni Fellowship for Public Service, and recipient of the Jefferson Award from the American Institute of Public Service and U.S. Senate.